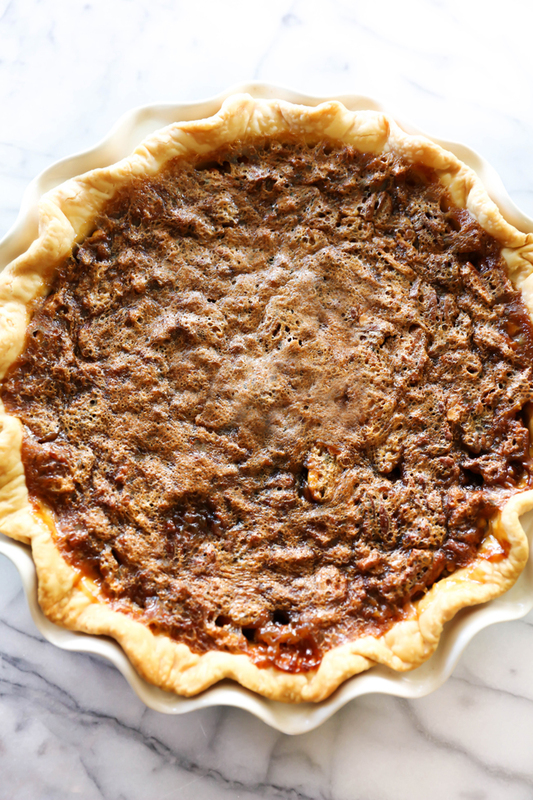 This Pecan Pie is a classic and timeless recipe perfect for any occasion! It is absolutely so delicious and a crowd favorite! Pie season is among us and it is such a delightful time of year. I used to be someone who didn’t care for pies, but as my tastebuds have matured I have released just what I have been missing out on. I am typically a cream pie kind of girl, such as my BEST EVER Coconut Cream Pie and BEST EVER Banana Cream Pie, but occasionally I like to try something new. 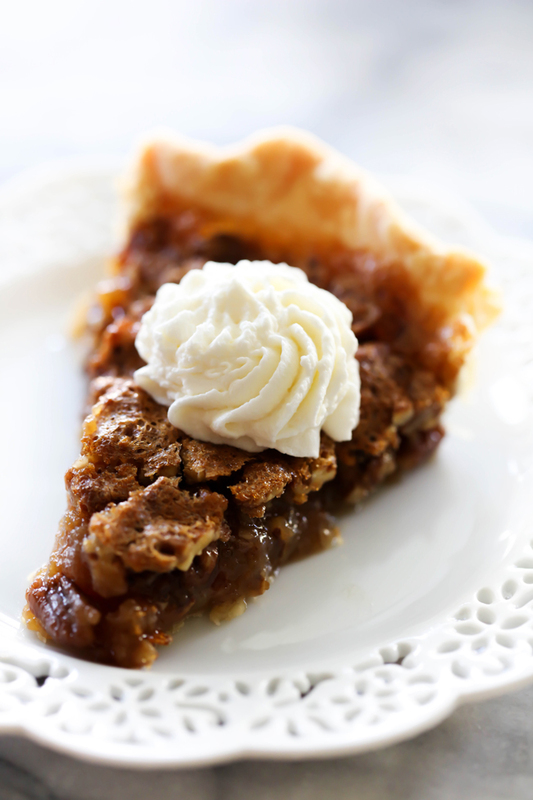 Pecan Pie is a classic and timeless pie. It has been around for ages and people absolutely go crazy over it. We have some pie people in my extended family and I have been on the hunt for which pie I am bringing for the holidays this year. This was a delicious recipe that received rave reviews by all! In a large mixing bowl, beat eggs until slightly frothy, about 2 minutes. Very slowly pour sugar mixture into the egg mixture beating constantly. Stir in butter, vanilla, and pecans. 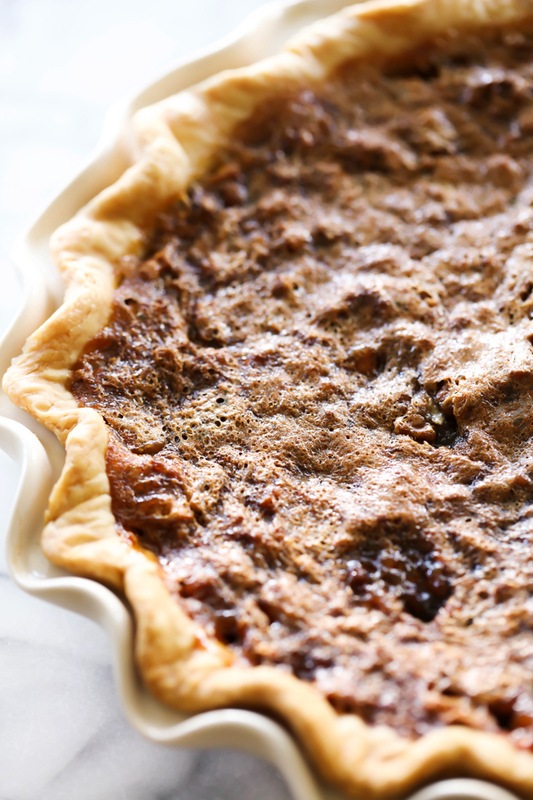 Pour into the unbaked pie crust. Bake at 350 degrees F. for about 50 to 60 minutes, or until set.